Interestingly enough, India is one travel destination which offers you an assortment of attractions when it comes to traveling in this vibrant country. However, the subcontinent is not a simple travel destination for first timers. When you’re traveling to a varied and huge place like India, you’ve to make sure that your traveling experience is hassle-free and pleasant. For first timers, some important information has been provided in this article to make sure that you enjoy a smooth traveling experience in India. Like for any other overseas travel, you must get your dental, optical and medical check up done to avoid any spiteful surprises on road. Get suggested shots for India, a minimum would be a booster to TB, Tetanus and Hepatitis shot, if only you don’t have the current one. You can check with a specialist in the travel medicine. Don’t forget to bring your contact lens, glasses, and prescription with you. Check your passport whether it’s a valid one. Arrange Indian visa and take out proper travel insurance. You may choose carry as little as possible. Ideally a bag and a hand bag will be sufficient unless you’re planning for a trek to the Himalayas or stays in the up market hotels where you would be expected to dress up formally for the dinner. You can easily buy anything and everything in India. The best thing is that you’ll get everything at a fraction of cost. Think about what you would like doing when you visit India and what interests you most during a tour. This will help to plan your itinerary to India accordingly. For a short tour, start with Delhi visiting (Humayun’s Tomb and Old Fort) before you head to Agra (Taj Mahal, Fatehpur Sikri and Agra Fort) and then hit the roads or take a flight to Jaipur, also known as the Pink City. 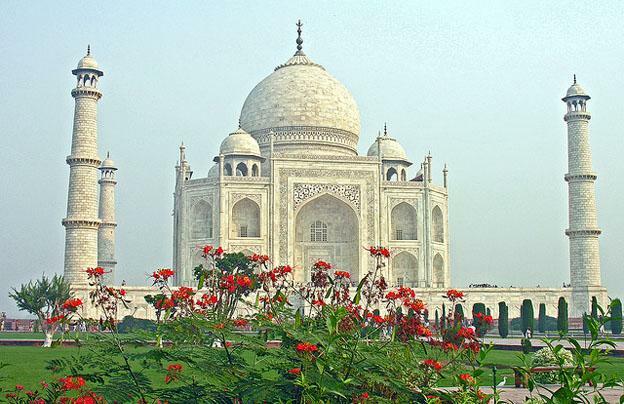 Perhaps, Delhi, Agra and Jaipur are some of the all time best tourist destinations to visit in India. Travelers with specific interests can consider traveling to Goa (beaches), Varanasi (spiritual fervor), Delhi (shopping), Rishikesh (yoga), Himachal Pradesh (trekking), Kerala (ayurvedic massages, backwaters, and overall to relax). When you’re traveling within India, you should know that the main international airports in India are located at Chennai (Madras), Kolkata (Calcutta), Delhi and Mumbai (Bombay). The Indian Airlines is considered the main internal carrier, but there are private carriers as well like Kingfisher, Jetairways etc. India has a well built railway transportation system. It is still considered as the major form of the long distance travel within the country. There are various classes and the trains vary from ultra modern, sleek expresses to historic steam trains to old-fashioned wooden narrow gauge trains, commonly known as hill trains. Often trains include VIP and tourist quotas so you can often get on a packed train with ease and find a seat for yourelf. The train system in India is surprisingly effective and features e-tickets so when needed can be booked online. Overall, a trip to India would never complete without a train ride. India also has a broad ranging bus network with buses ranging from ordinary to super deluxe. One problem with super deluxe buses is its super cold air conditioning (make sure you bring your jacket) and the obligatory Bollywood dance movie. Most tourist spots in India are crowded, but India also has quiet retreats as well. If you want to escape crowds of the sprawling metropolitan cities, then consider heading towards south to enjoy the calm backwaters of Kerala or head to the north to the mountainous regions like Ladakh. Most travelers choose to go vegetarian while traveling in India. A bit of meat can do a lot of harm than the somewhat lightly cooked veggies. Most Indians are vegetarian; you can easily get a great choice of vegetarian food. If you eat meat, then make sure it has been well cooked. It would be a good idea to eat from places packed with locals. Avoid tap water. No salads and fruits which you have not peeled yourself. For more travel information on India, including diverse tourist sites in major cities and states like Mumbai, New Delhi, Goa etc, you must visit Book My Accommodation India. Book My Hotel India is a one stop guide to travel information, attractions, and hotels.